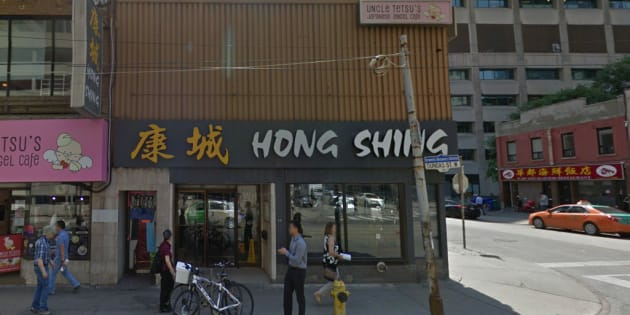 Hong Shing Chinese Restaurant racially profiled the friends, Ontario's human rights tribunal ruled. Hong Shing Chinese Restaurant was ordered to pay $10,000 to customer Emile Wickham after asking him and his friends to pay for their meals in advance. Ontario's human rights tribunal found that the restaurant racially profiled Wickham and his friends, all of whom are black. TORONTO — Ontario's human rights tribunal has ordered a downtown Toronto restaurant to pay $10,000 to a black man for violating his rights after the establishment asked him and three friends to pre-pay for their meal. The tribunal heard Emile Wickham, who identifies himself as an Afro-Caribbean, went to the Chinese restaurant with three friends — all of whom were black — early on May 3, 2014, to celebrate his birthday. Wickham told the tribunal that after the server took their orders, he and his friends were told that a restaurant policy meant they had to pay for their meals before receiving them, which they did. He said he was unsettled by the request and asked other patrons if they had been asked to pre-pay as well. Wickham told the tribunal that none of the patrons he spoke to said they had been required to pay for their meals in advance. In its ruling, the tribunal said the restaurant did not offer a credible non-discriminatory reason for its employees' conduct and found Wickham had been racially profiled. The Hong Shing Chinese Restaurant was ordered to pay Wickham $10,000 as compensation for infringing his rights and for the injury to his dignity, feelings and self-respect. He was presumed to be deviant. "This case illustrates that the restaurant did not extend the applicant the benefit of the doubt, or assumption of his decency as a black person, rather he was presumed to be deviant,'' the tribunal's ruling stated. From Wickham's evidence, the tribunal said it was evident that the incident had a profound impact on him. "It has fundamentally changed the way that he perceives Toronto, and the level of the city's inclusiveness,'' the ruling stated, noting that Wickham feels less accepted in the city as a result. The restaurant's owner said the tribunal decision is under appeal, noting that the incident occurred four years ago when the restaurant was under different management. "The current owner and staff are dedicated to be a committed, inclusive and responsible member of the community,'' Colin Li said in a statement posted on Instagram.